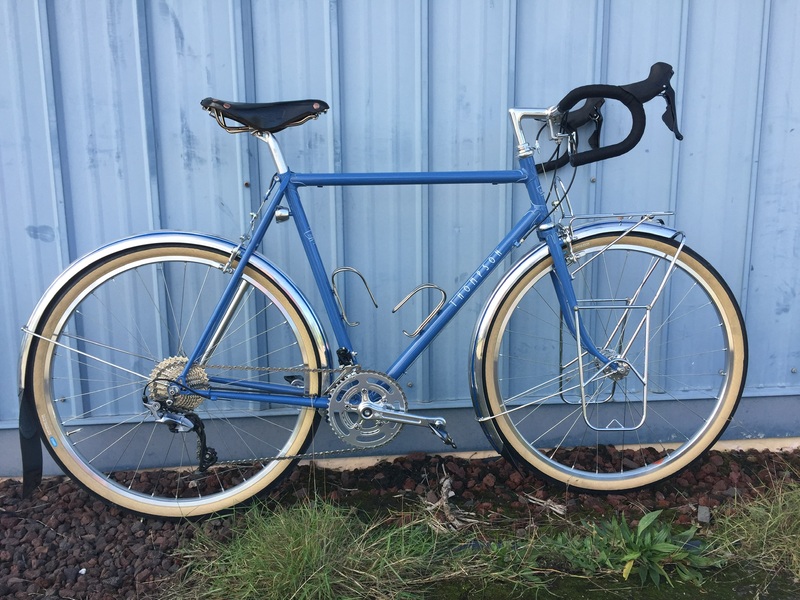 This customer had been dreaming of a nice randonneuring bike for years and decided to treat himself for his 50th birthday. Happy Birthday! 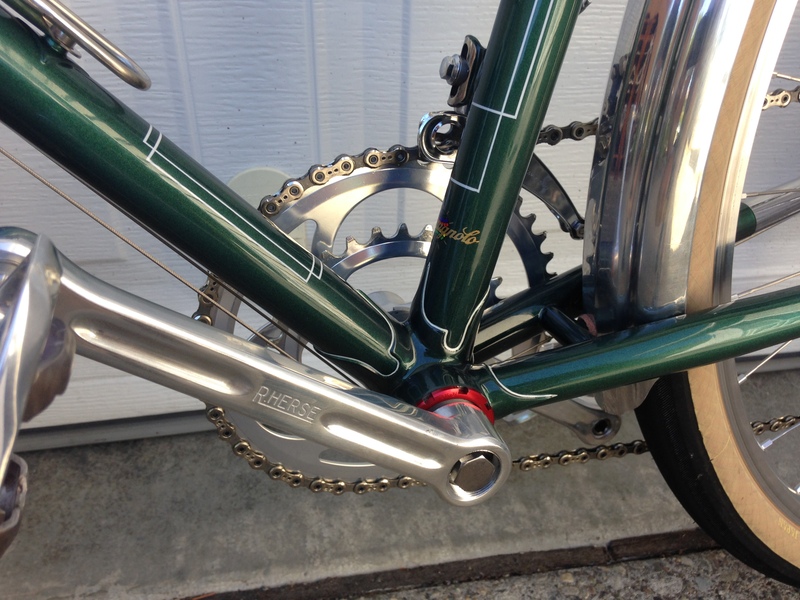 We started with a set of Pacenti lugs, re-shaped to please my eyes. Original is on the right, modified on the left. 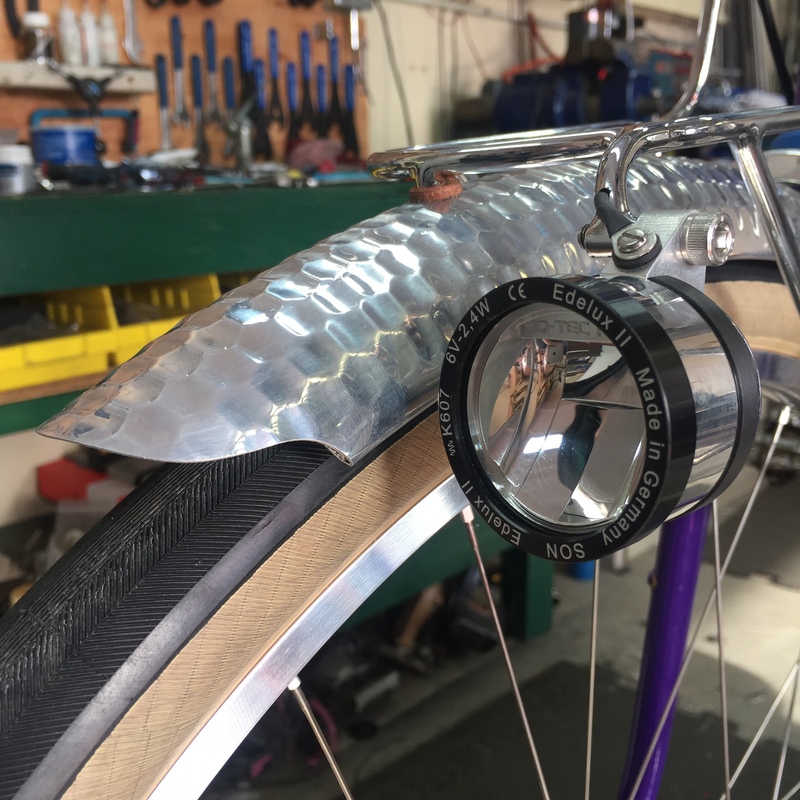 Compass bottom bracket shell, also heavily modified. 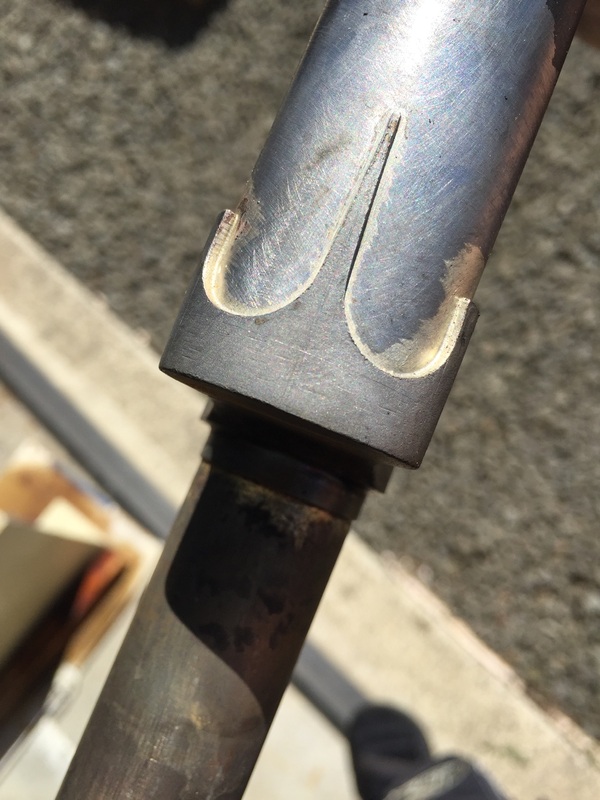 Compass fork crown, just after brazing and before any cleanup. 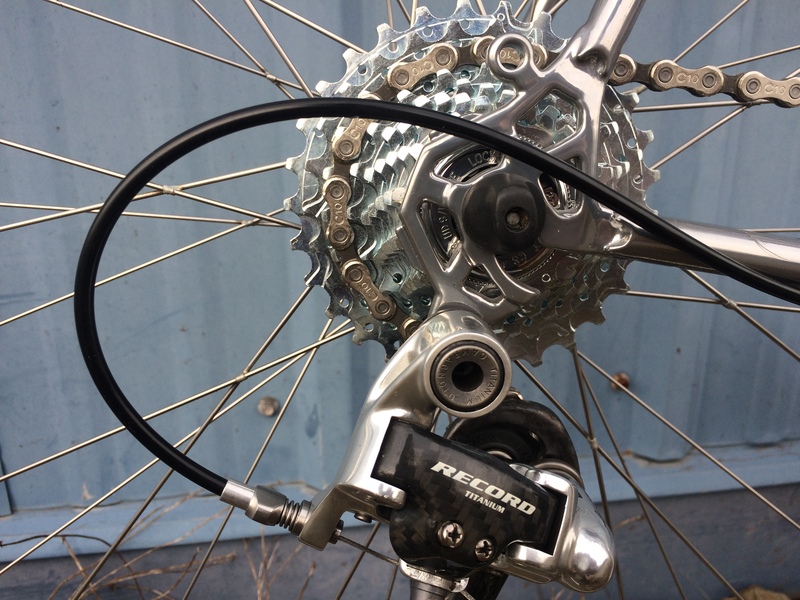 This crown is hollow, so the wire from the Schmidt hub can run inside the fork blade, through the crown, and into the steerer tube. Starting to look like a bike- getting ready to fit the seat stays. My very last pair of MAP dropouts. The stainless faces have been polished and left bare of paint so that they’ll always look nice. 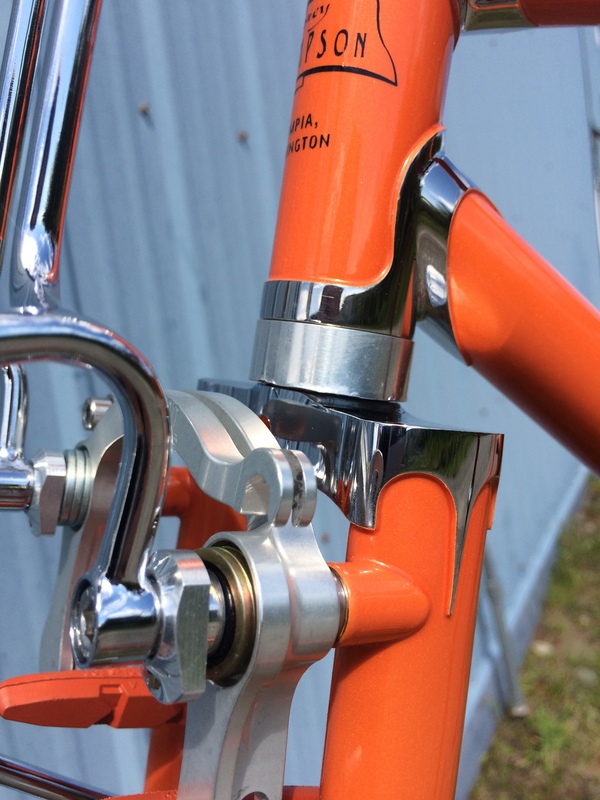 The front derailleur tab, like most of the other braze-ons, is stainless. The face where the washer bites in has been polished and left bare- no chipped paint here! The assembly always begins with the lighting system- the wires are easiest to run when nothing else is in the way. Next is the fenders. 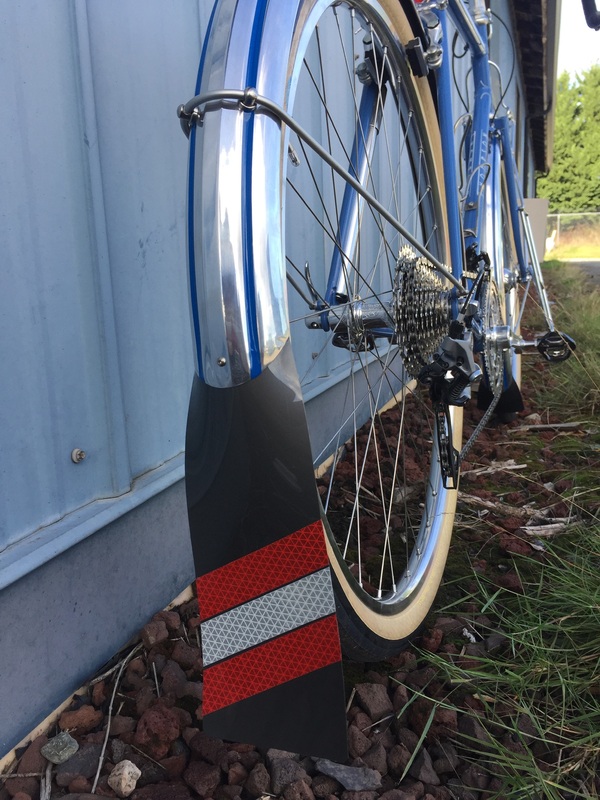 The fenders received a blue accent stripe in each flute and custom mudflaps. It’s hard to believe the new year is nearly half over already. It’s been a busy spring in the shop with lots of fun projects. Here are a few of them. Jeff and Wendy taking a very chilly first ride on their new tandem. 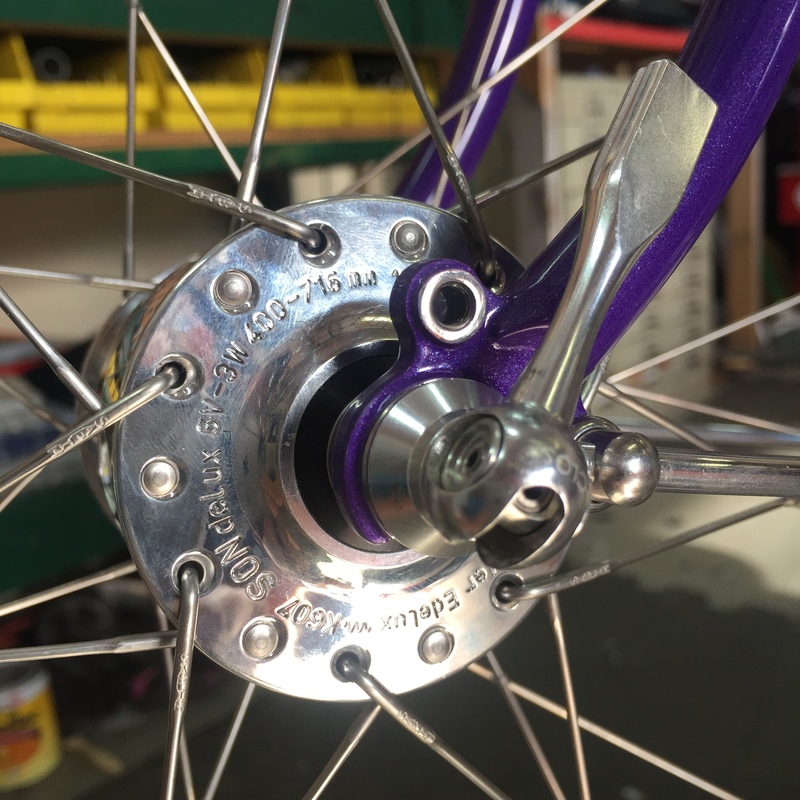 This was a fun project with lots of cool features like a thru-axle Schmidt dynamo front hub with automatic electrical connection integrated into the dropouts, a Rohloff 14 speed rear hub, and S&S couplers. 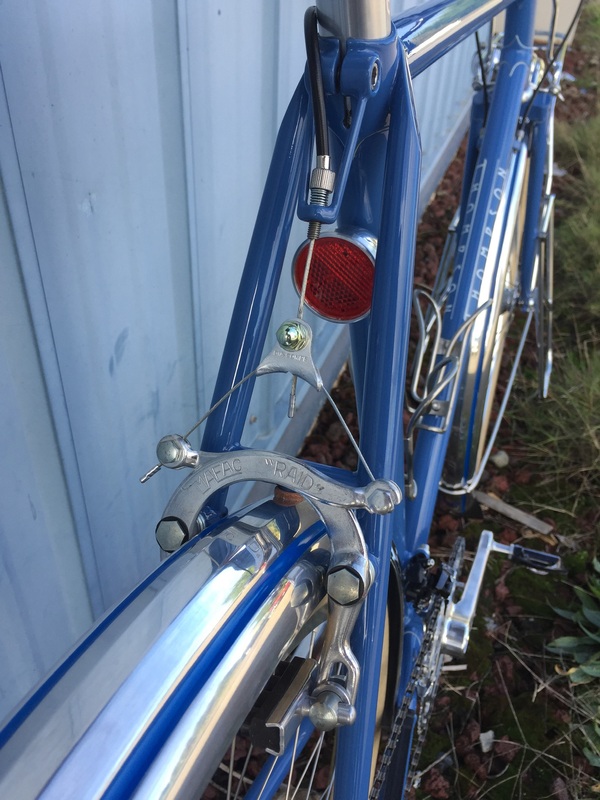 Mike’s Raleigh 650B conversion and repaint. 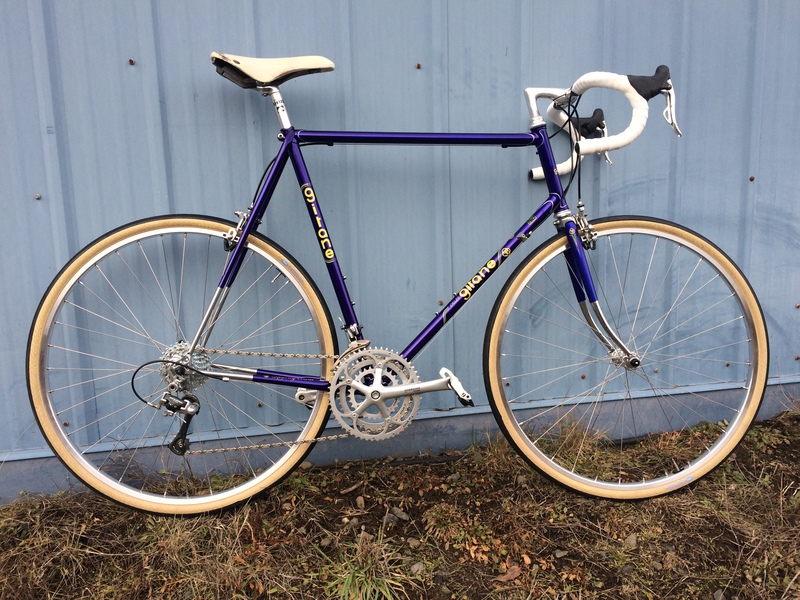 Mike brought me a ’70s Raleigh Competition for a make-over. 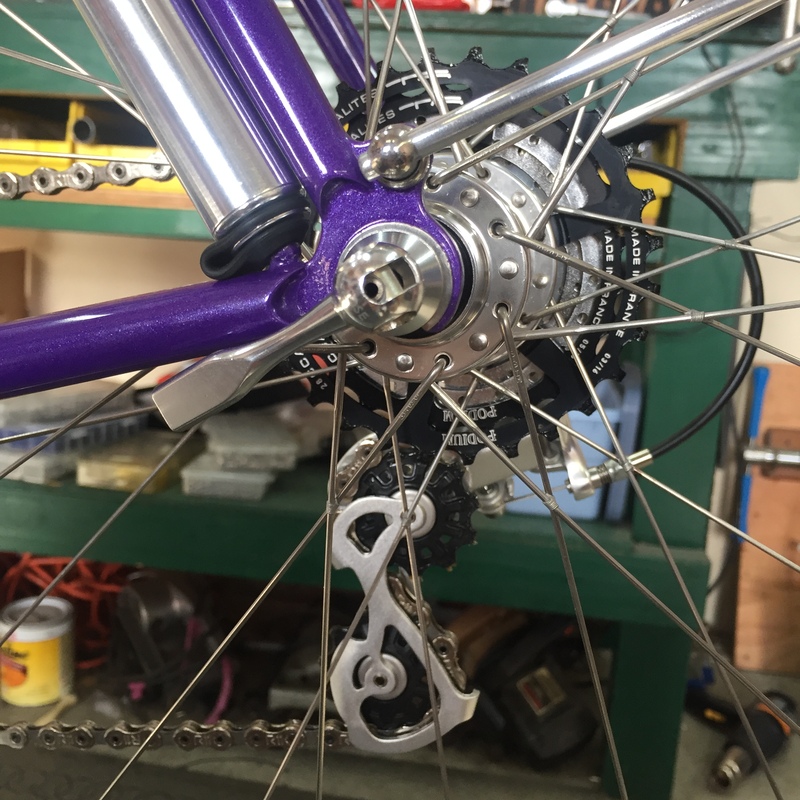 I added numerous braze-ons, 650b wheels, modern drivetrain parts, and a hub dynamo light system. 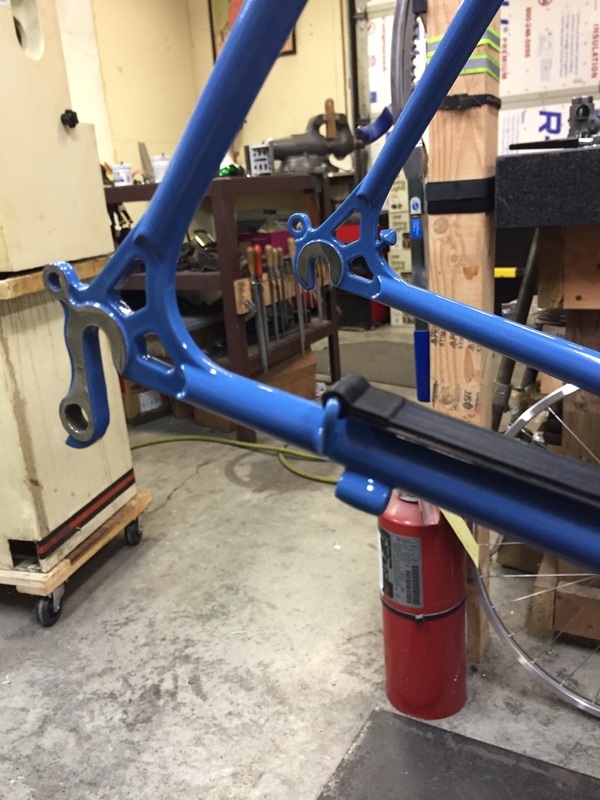 My friends at Forever Powdercoating matched the original color. New bike day for Lesli! 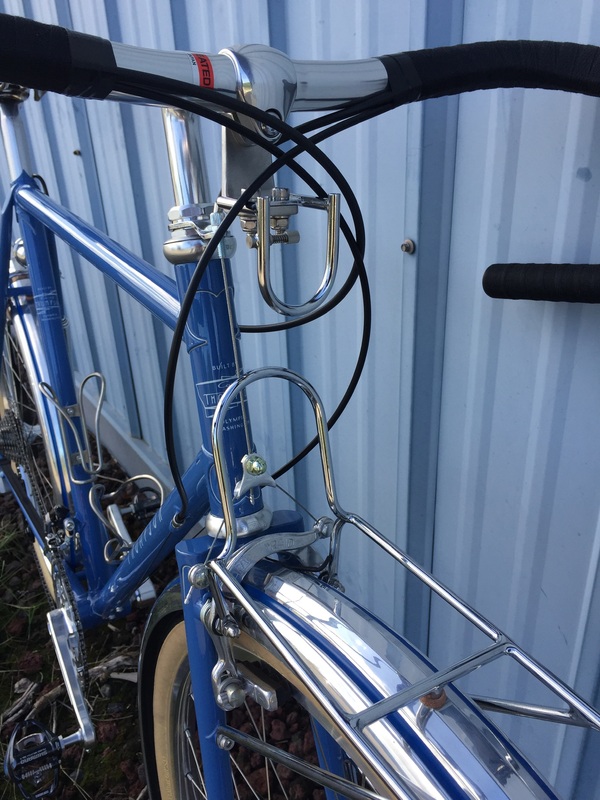 Lesli got a new randonneur bike with all the bells and whistles- fully internal wiring for the lights, a stem top light switch, a usb charging port for her phone or GPS, and a set of low rider racks for light touring loads when she’s not doing brevets. I look forward to seeing pictures of this bike all over the world. John got a new bike too, and was in such a hurry to rush off to his first ride that I didn’t even get a picture. 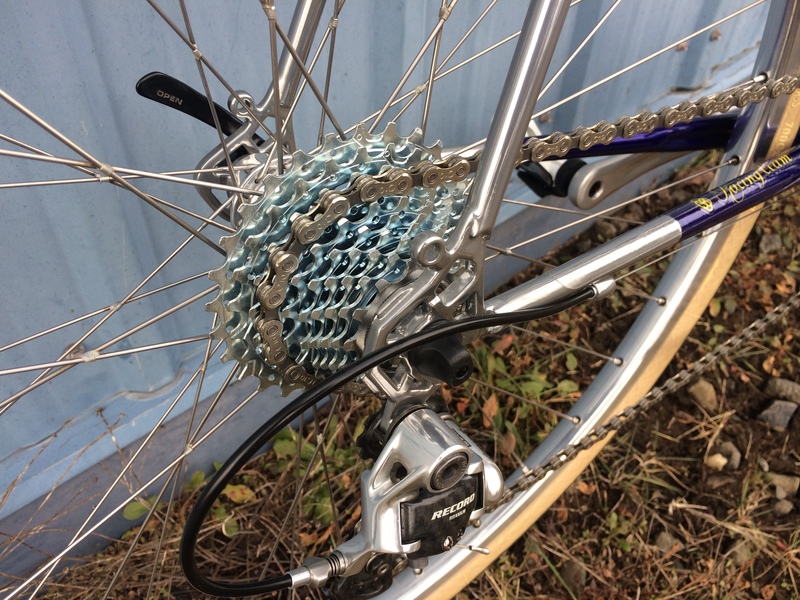 Hopefully he’ll bring it back soon so I can take one because I think it’s pretty interesting- he chose SRAM etap wireless electronic shifting and it turned out to be the lightest randonneur bike I’ve built at 20.0 pounds with rack, fenders, lighting system, and pump! I have big plans for 2018. 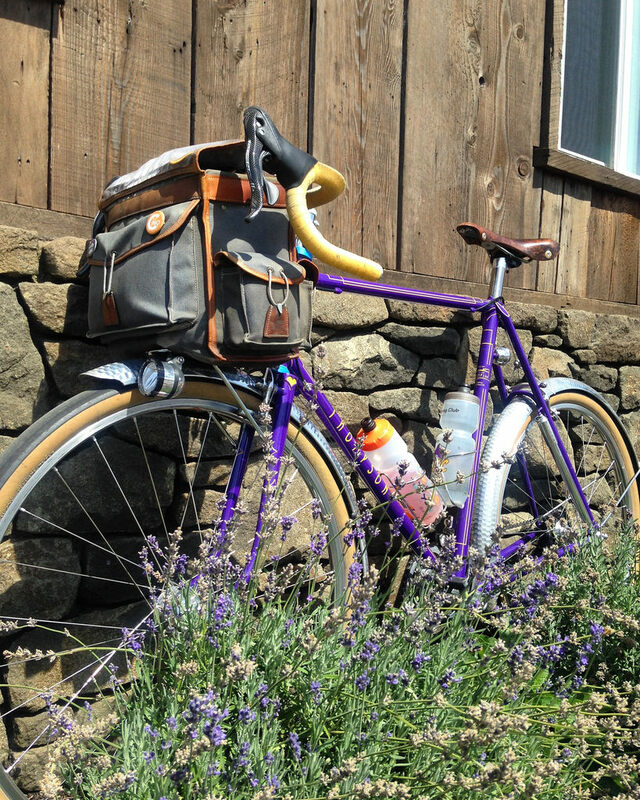 There are lots of bicycles to build, but also lots of travel and new adventures. 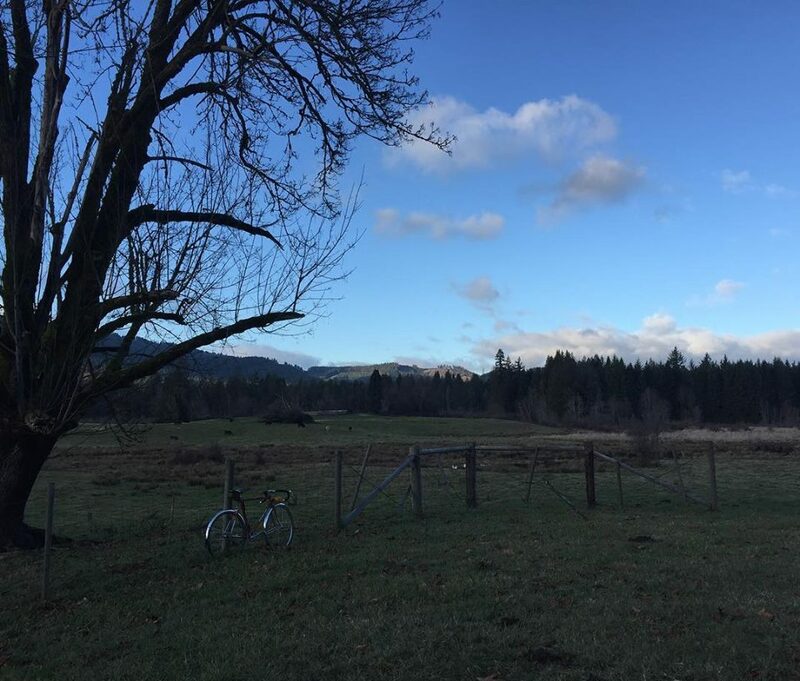 Of course all the travel and adventures involve riding bikes! I didn’t post as often as I should last year, so before I head back to the bench tomorrow here are some of the projects and adventures from 2017. Playing in the snow with Jan and Natsuko. Flèche Northwest on a team of tandems!!! 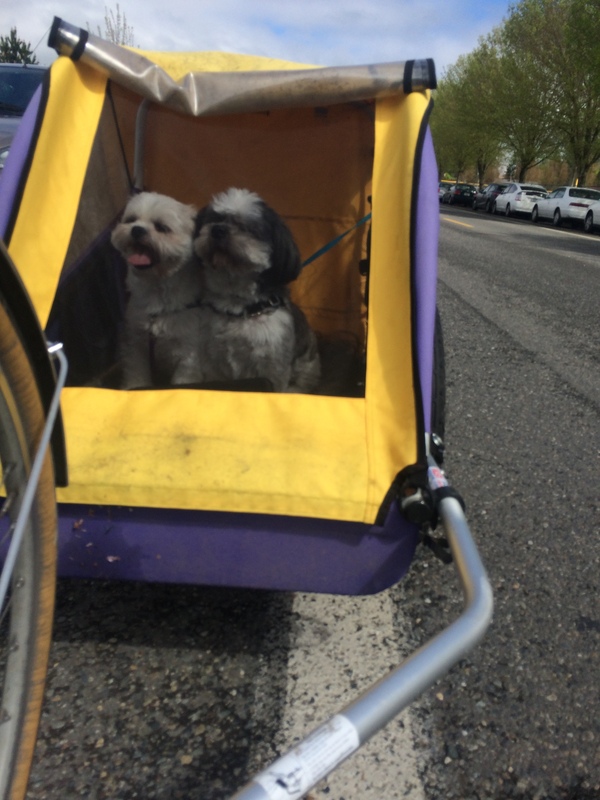 The dogs participated in the Thurston County Bicycle Commuter Contest. 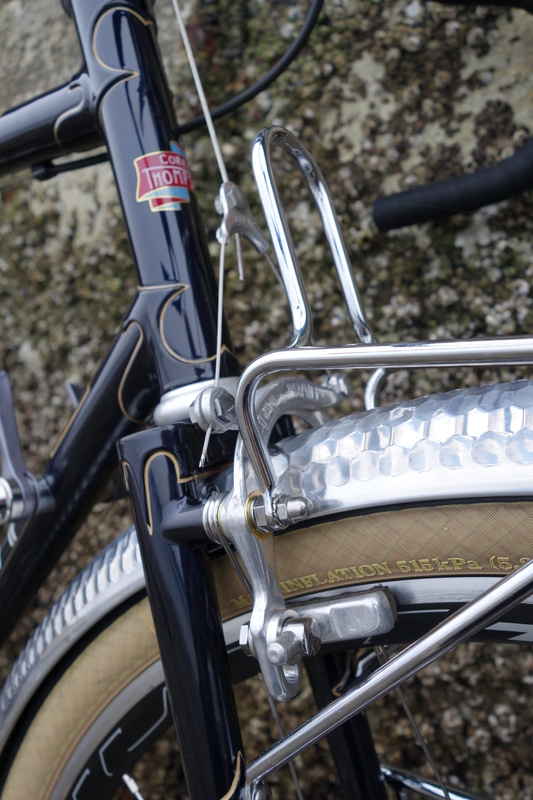 Polished stainless lugs and chromed fork crown. 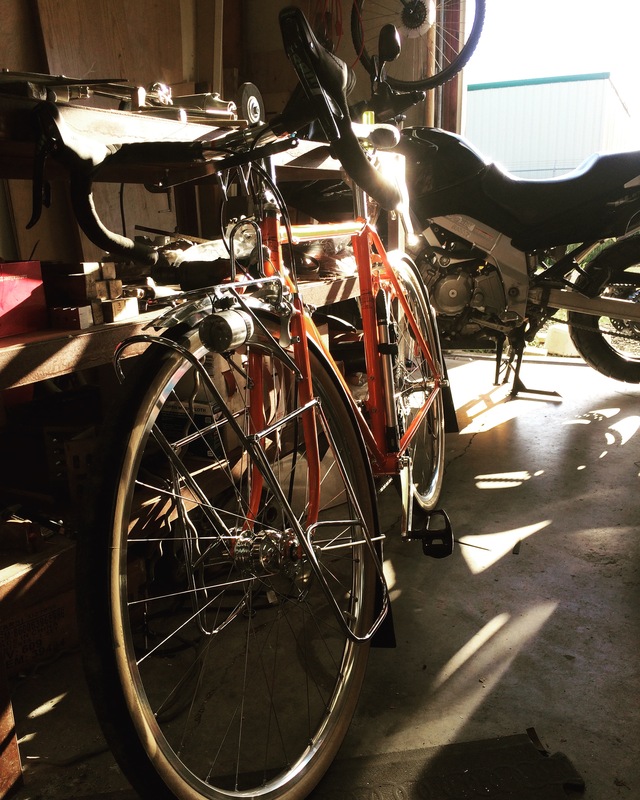 Afternoon sun lighting up a new bike. 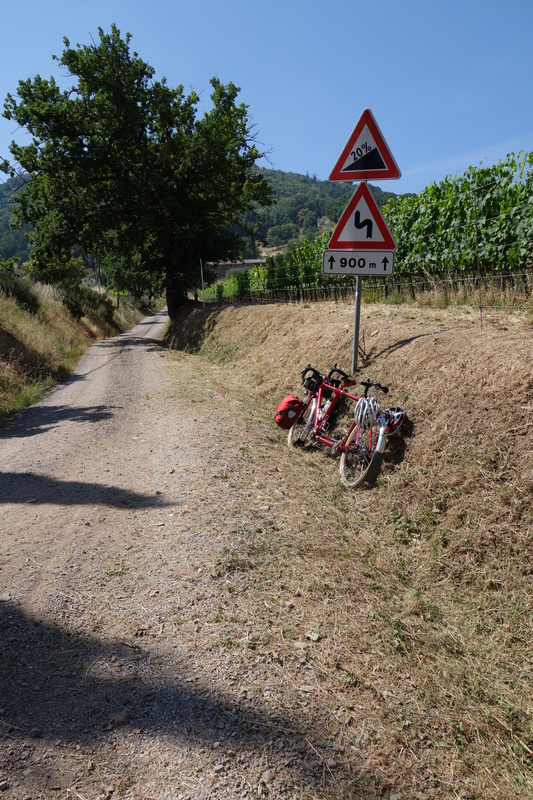 Tandem tour in Tuscany. 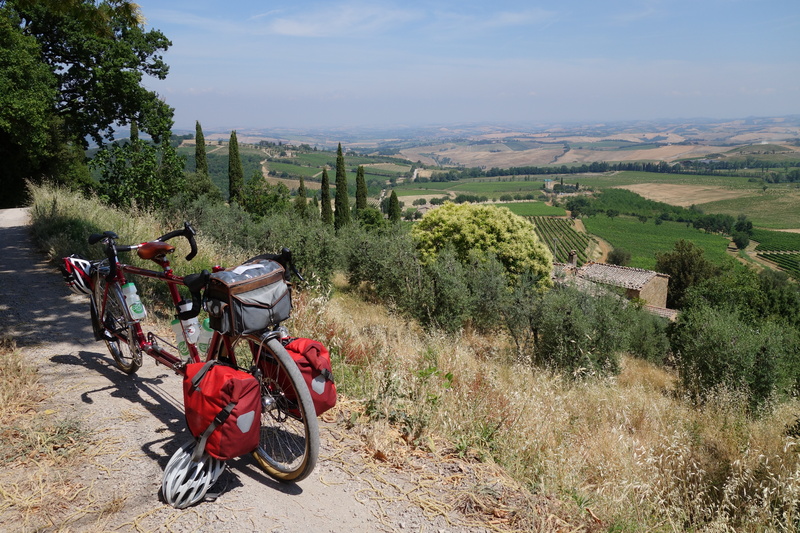 Headed up the hill to Montalcino! 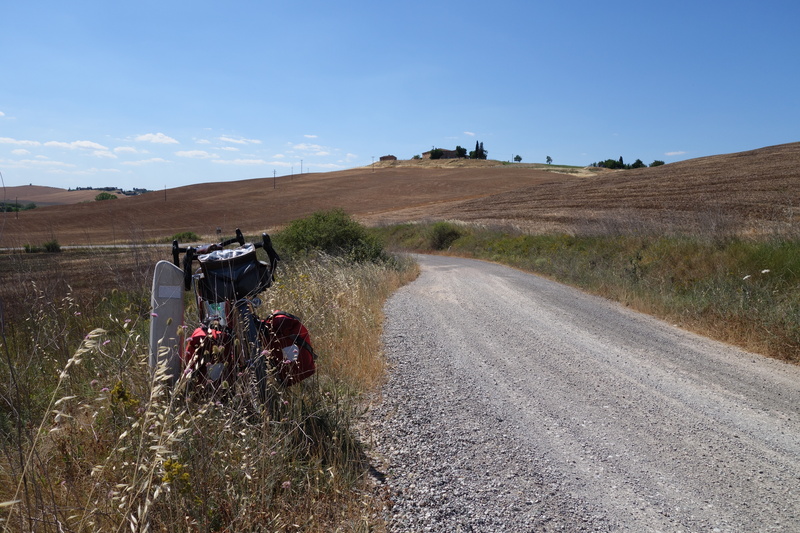 Taking another break on the way to Montalcino. 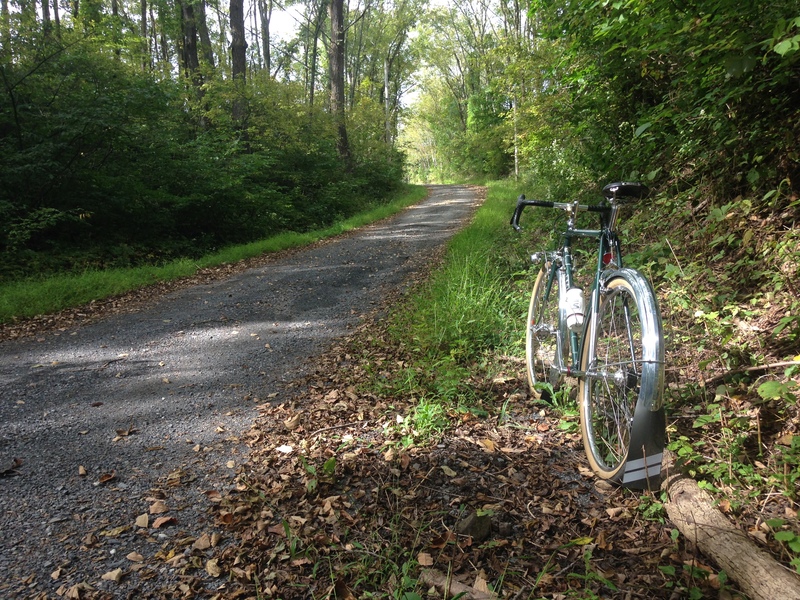 We had a beautiful gravel road all to ourselves. Somewhere south of Sienna. 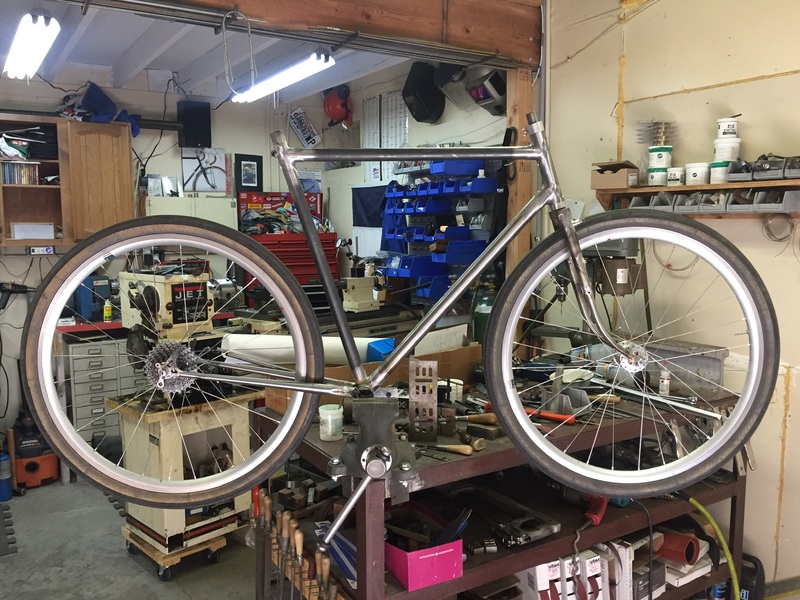 New frame ready to assemble. 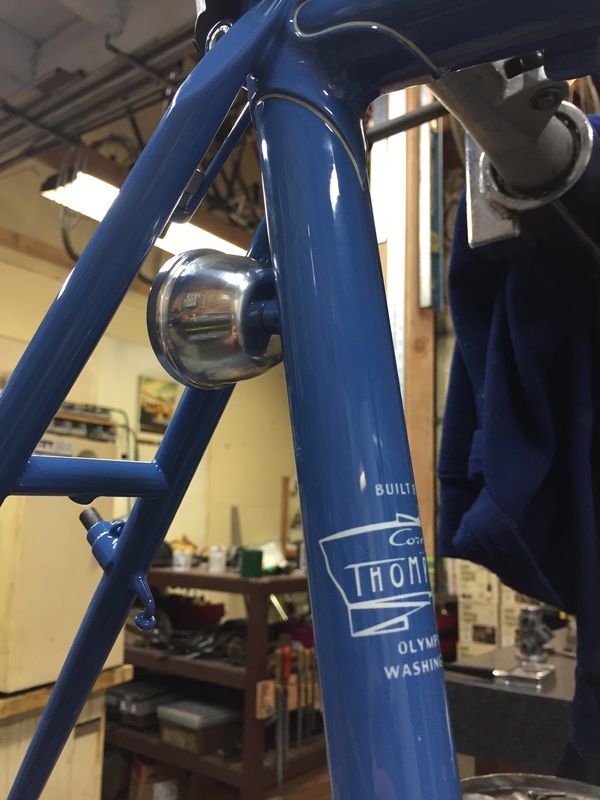 Special extra lightweight dropouts and parts on this one. 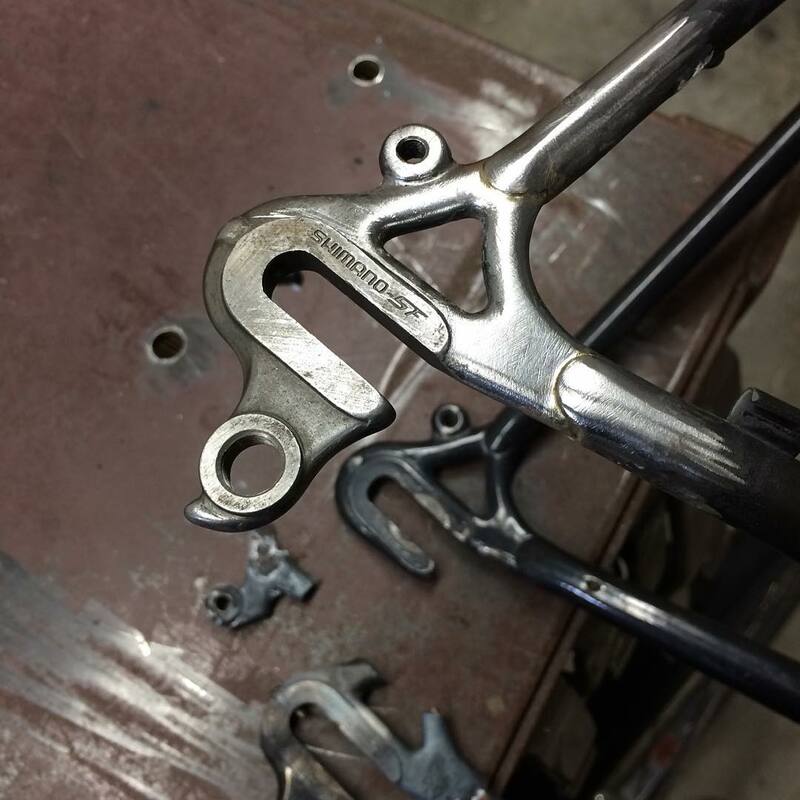 Modified René Herse crankbolts courtesy of JP Weigle. 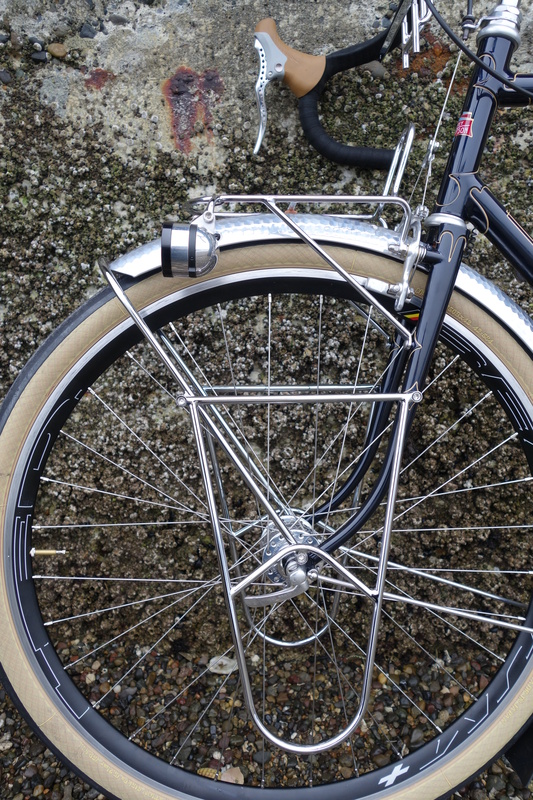 Polished stainless face on the pannier boss- no chipping paint here! The dropout face is also polished, but hidden by the skewer. I re-shaped the ends of the fenders. Much more pleasing to my eye than the way they are delivered. The finished bike after a few hundred kilometers. Photo courtesy Theo Roffe. Another new bike, ready for its maiden voyage. On a beautiful road somewhere in Pennsylvania. Photo courtesy George Retseck. Shop all tidied up for the Open House. Photo courtesy Deb Banks. Friends came from all over for the Open House. Photo courtesy Bob Freeman. Another from the Open House- this must have been before we fired up the bbq, lots of frowning! Photo courtesy Theo Roffe. 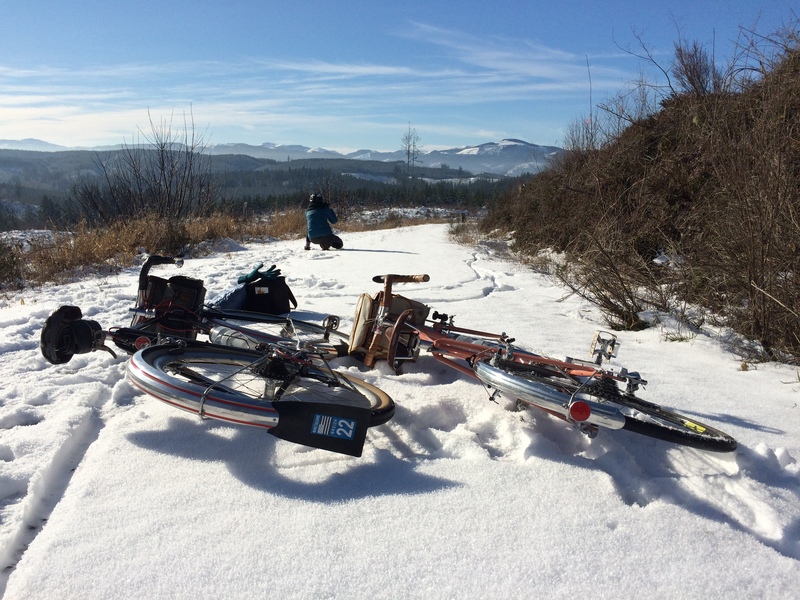 On the last ride of 2017, I found a peaceful picnic spot I had never seen before, even though I’ve been riding up and down that road for 25 years. Wonderful new discoveries can happen in the most mundane places. Here’s hoping 2018 is as good or better! 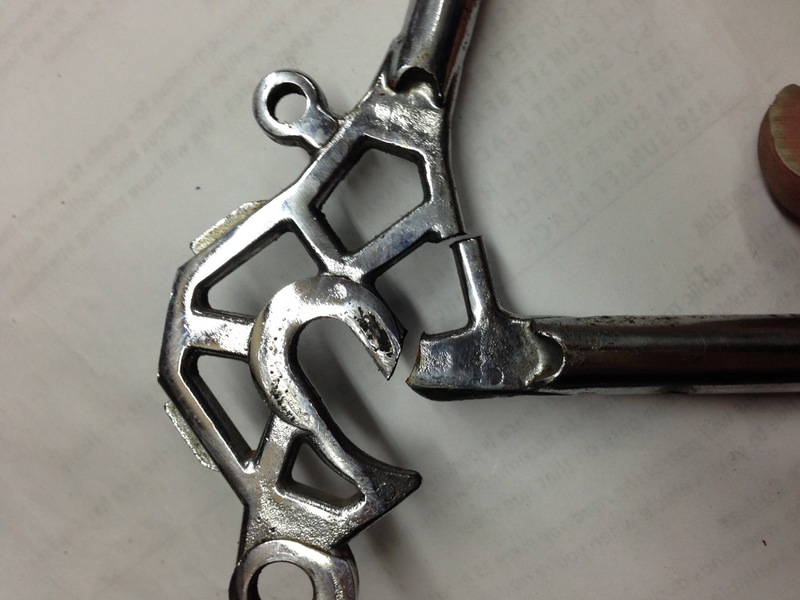 Recently two different frames came through the shop with broken right rear dropouts. Usually, it’s a pretty straightforward repair. The best way to approach it is to source an identical part and then simply replace it. Sometimes that’s not possible so a little creativity is required. 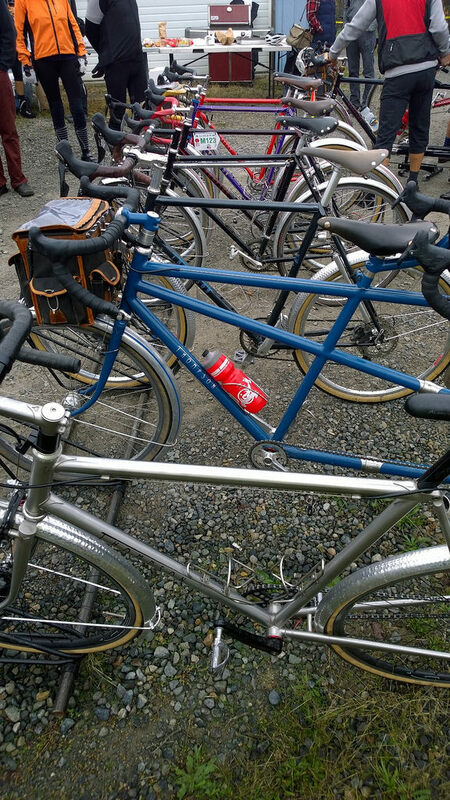 The first frame was a Miyata. 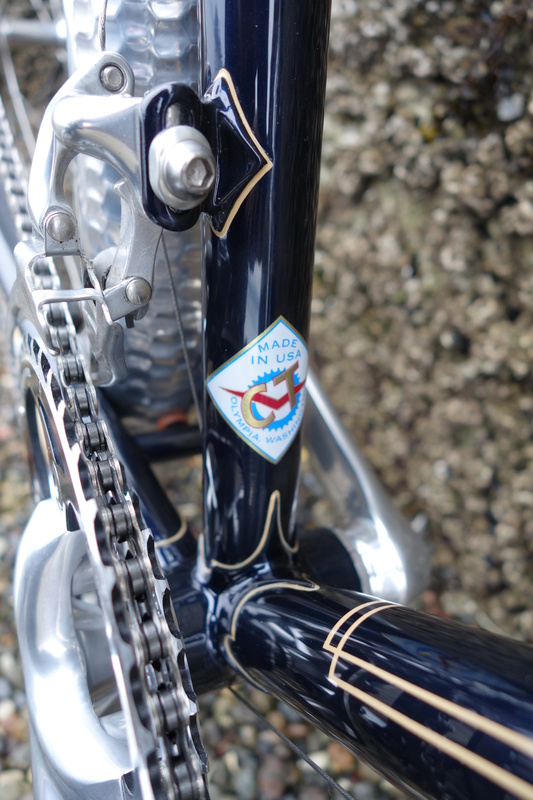 It had Shimano SF dropout like many good quality Japanese frames from the 1980’s. I found a full set (fronts and rears) on Ebay and got them on the way. The fronts will go on the shelf and eventually be used on a new fork, the extra left rear one will probably languish there forever. 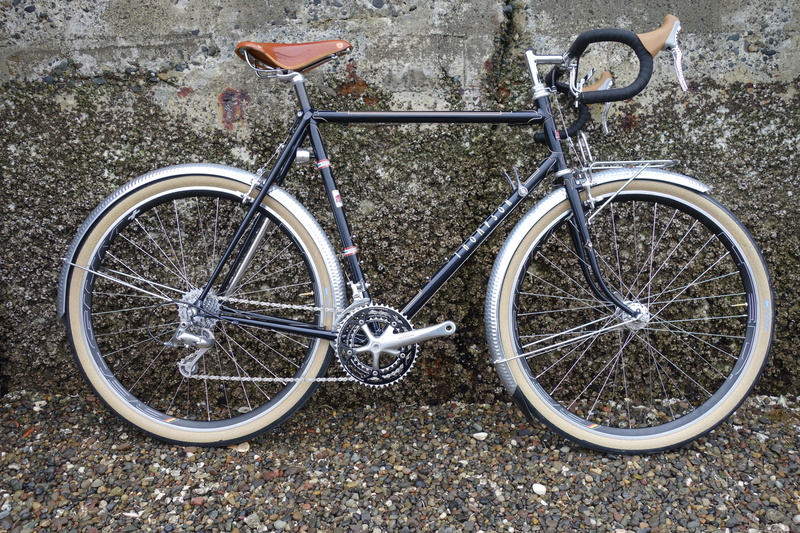 The next repair was an old Gitane. 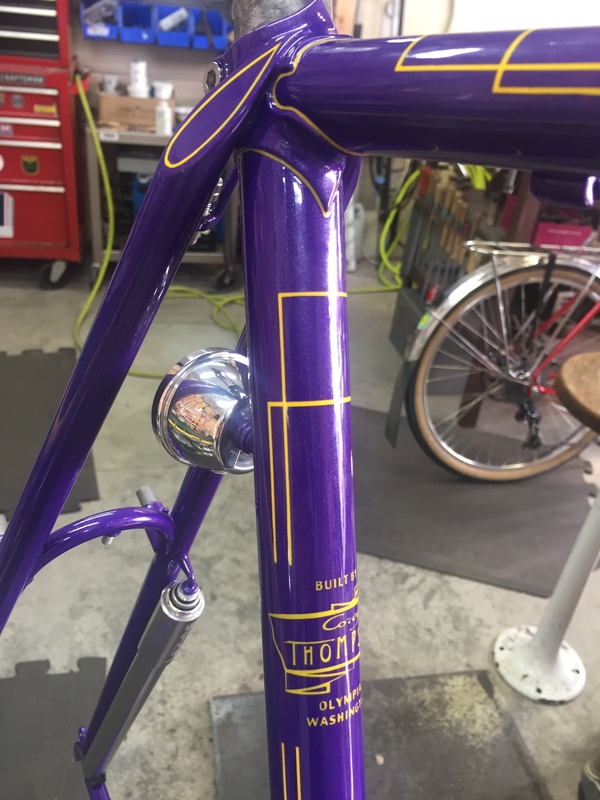 This particular frame has very rare dropouts that were only used by Gitane for a year or two, and were unique to the brand. 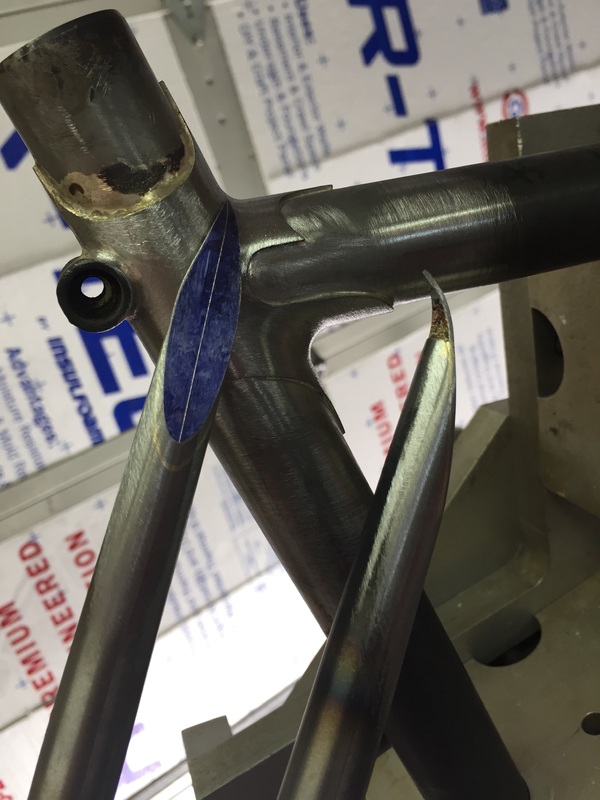 I emailed a few friends to see if anyone had a damaged Gitane frame with those dropouts- if they did, I could have cut the stays and harvested the intact dropout. It was a long shot and of course and I wasn’t able to find a replacement. 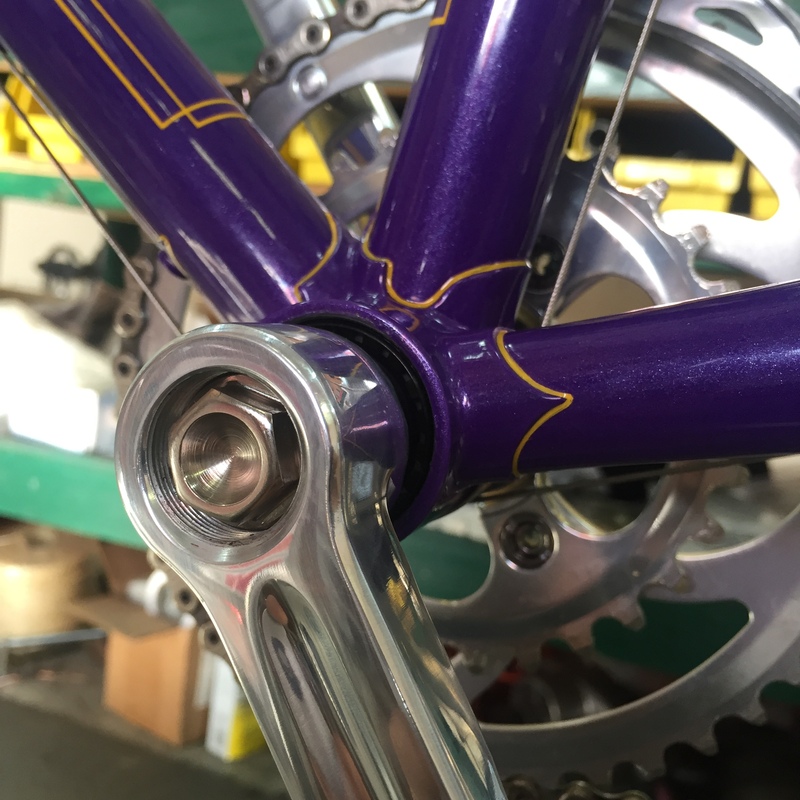 First, I filed away the raised face around the axle slot on each side of the dropout, and carefully filed and sanded away all the chrome. At the two points where it was broken, I filed away material at a 45 degree angle all the way around each break. Then I TIG welded the broken spots and filed them down until they were invisible. I could have stopped there, but as I mentioned earlier, there is still fatigued material on each side of the repair. 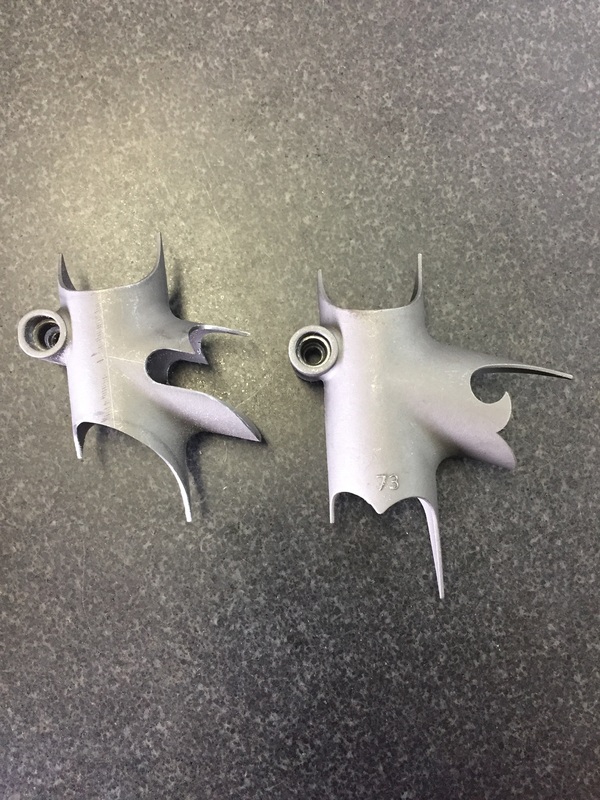 To reinforce the area, I brazed a thin sheet of steel over each face of the dropout and cut to match the shape. The repair is visible, but you have to look very closely. The customer sourced a complete new set of decals and chose a color. 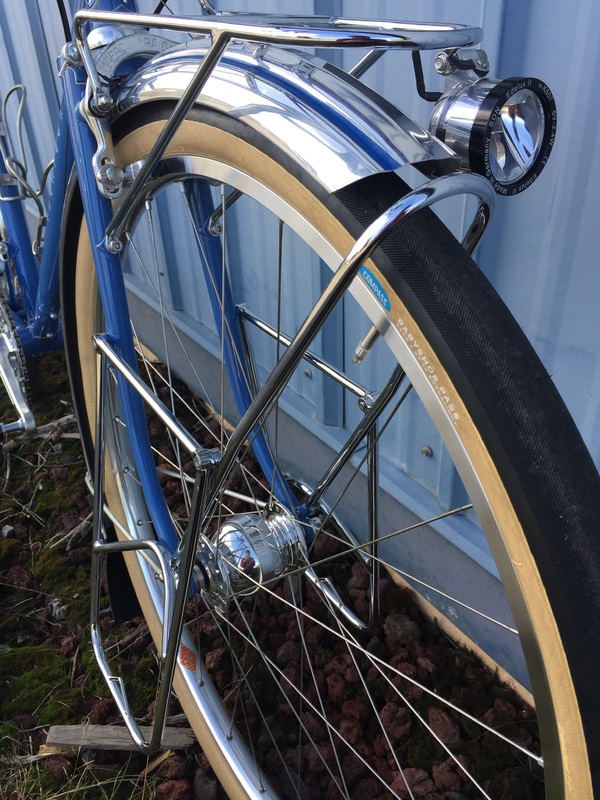 It would be possible to have the old chrome stripped and redone, but expensive. Instead, we elected to coat the previously chromed areas with a shiny silver powder coat. 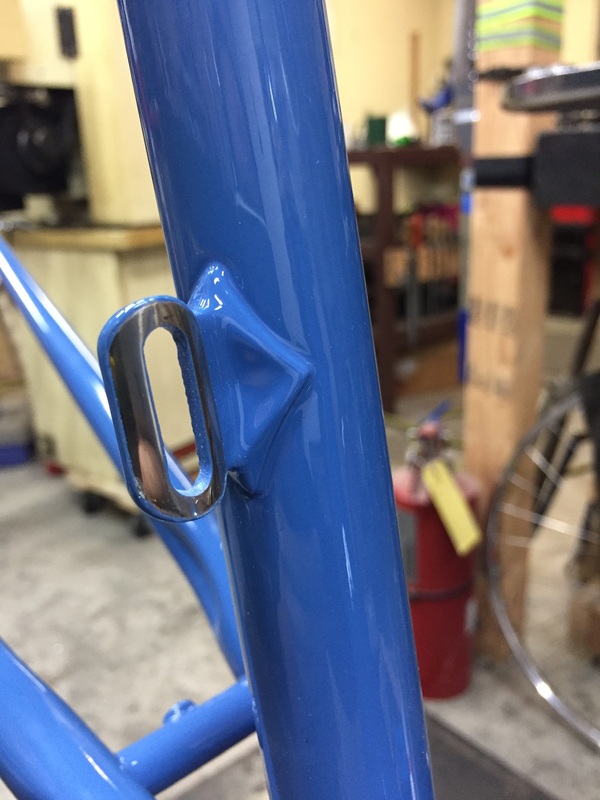 While the frame was in the capable hands of my friends at Forever Powdercoating, we evaluated which of the old components we would reuse, and which we would replace. 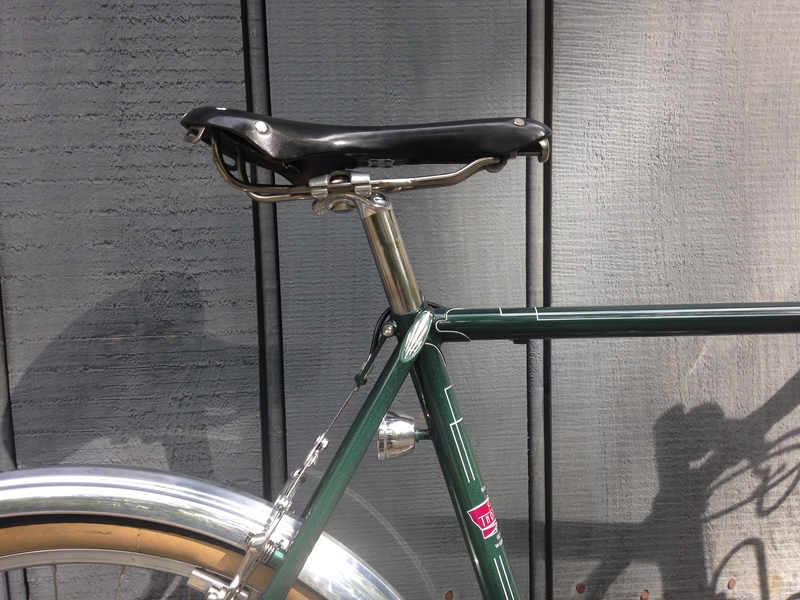 In the end, only the handlebar, stem, seat, seatpost, and brakes were kept. 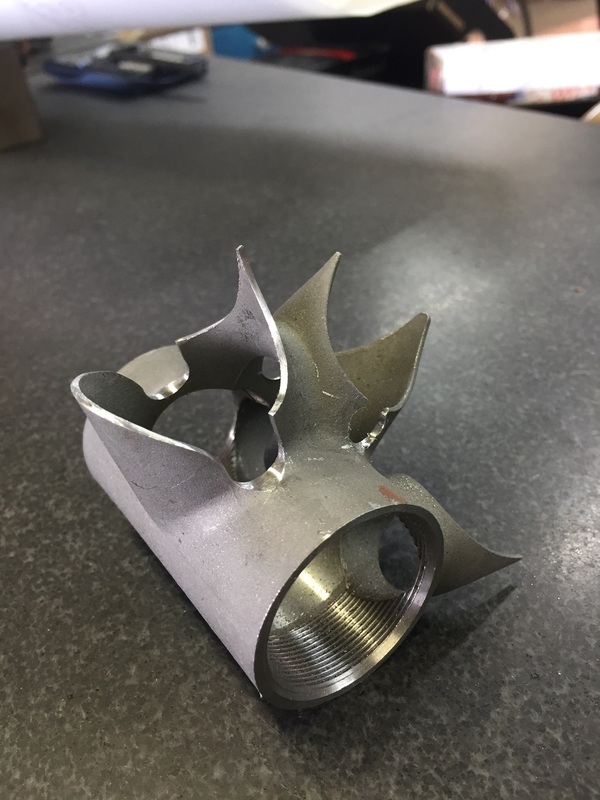 The rest of the new parts were either ordered in, or supplied by the customer. I built a new set of wheels and had everything waiting and ready to install as soon as the frame was ready. Nearly 36 years to the day after he got the frame for his 16th birthday, James got his bike back looking like new. 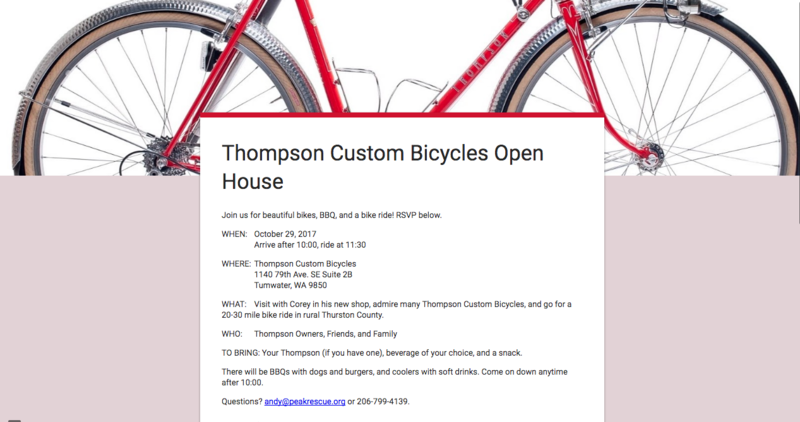 Thompson Custom Bicycles has a new home. 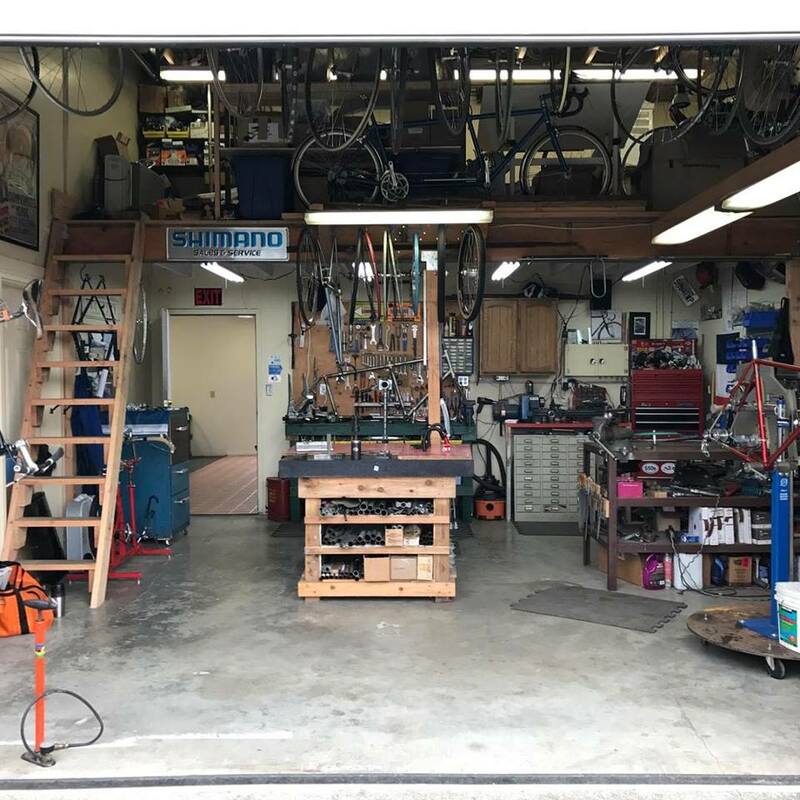 The old shop was always too small, but it had lots of positive attributes like affordability and convenience. Working out of a ten foot by twelve foot space was difficult, but I did it for a long time. Here I am hard at work, somewhere around 2012. The photo shows most of the shop! On a chilly day in late November, this is all that remained. The new shop has around four times the square footage. It’s in an older warehouse building near the Olympia airport. If it’s a nice day, I can see Mount Rainier from the lobby or the parking lot. The other side of the building, the one with the roll up door that will be open whenever the weather is warm enough, affords an excellent view of the sunset. Midway through the move, I got a call from my powdercoat shop telling me I had a frame to pick up. I managed to find enough tools to assemble the new tandem shown below. 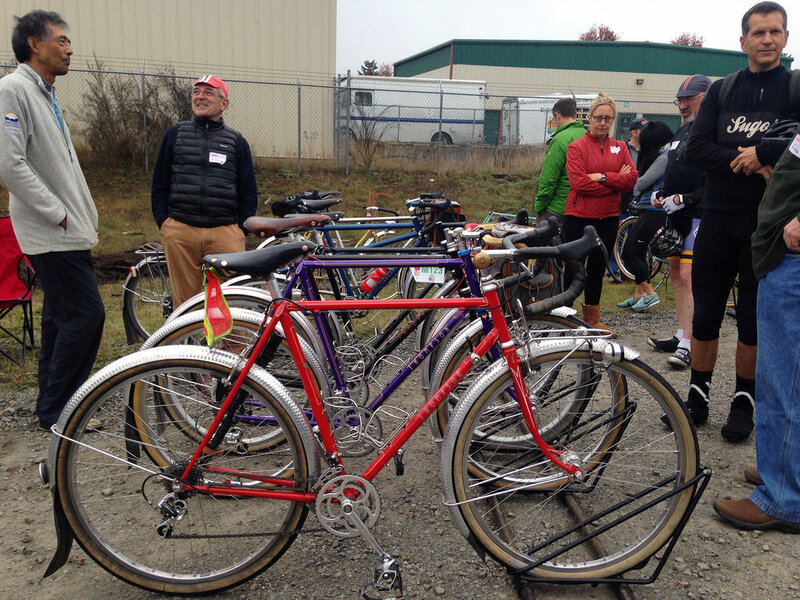 In the background, you can see the fabrication area and my new big steel workbench, as well as my personal tandem. The surface plate is now on the other side of the central post. Assembly, repair, and wheel building area. There is lots left to do, but the space becomes more workable every day. I’ve been doing small projects which help me to decide what tools should be kept where, find the things that are missing, and get a general feel for how work will best flow through the space. I couldn’t have done the move without the generous help of lots of friends and the patience of my wonderful customers. If you’re reading this and that sounds like you, thank you!!! Mr. Thompson (no relation!) 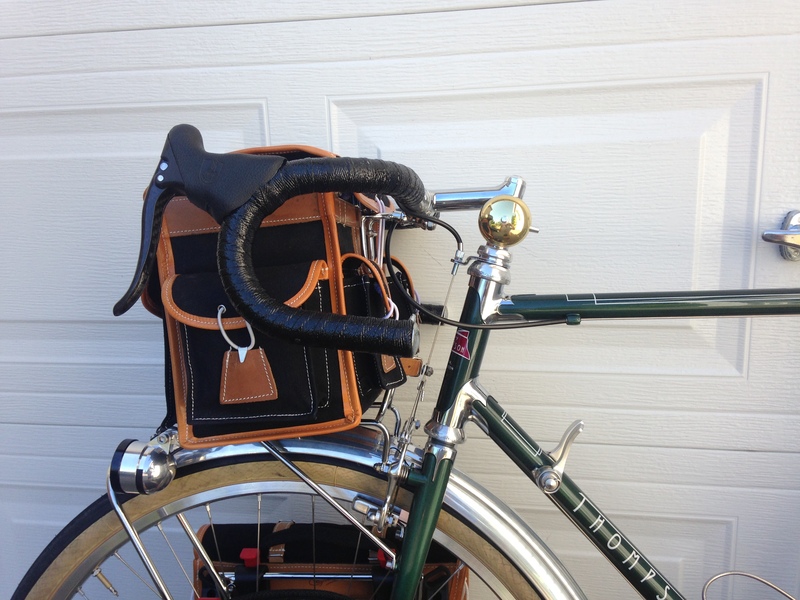 of Monroe, Louisiana just took delivery of his new Thompson randonneur bike. In his first ride report he says it rides “Like it has perpetual tail wind!” Here are a few photos taken right before I boxed it up. 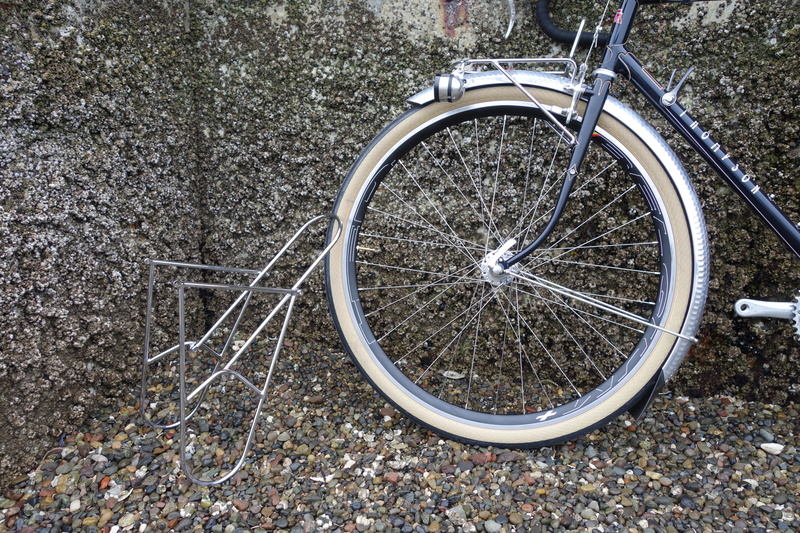 For the occasional tour, the bike has low rider pannier racks which can be installed or removed in seconds with six allen screws. With low riders removed. The low riders can be further disassembled and packed flat.